TriStar Pictures gained overall rights to Danny Boyle’s eagerly awaited continuation. 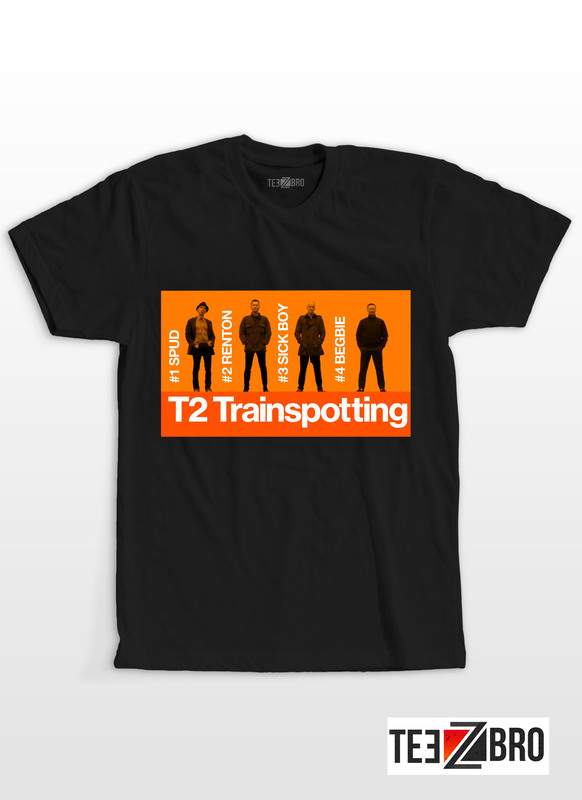 T2 Trainspotting depends on characters made by Irvine Welsh. It will rejoin executive Danny Boyle with screenwriter John Hodge and the majority of the foremost cast of the 1996 film—Ewan McGregor, Jonny Lee Miller, Ewen Bremner and Robert Carlyle will repeat the notable parts of Renton, Sick Boy, Spud and Begbie. T2 Trainspotting will be released in the UK on January 27, 2017. 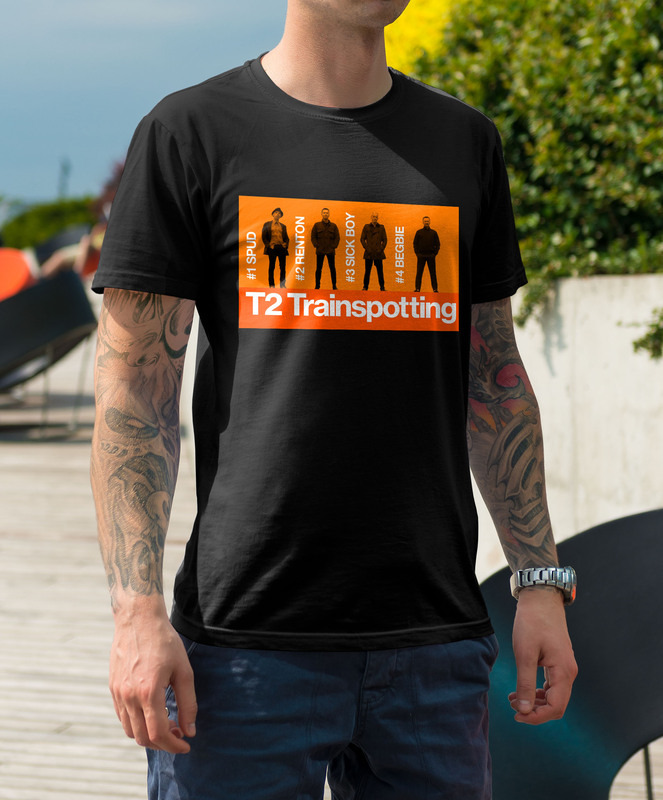 T2 Trainspotting Tee are Fan Made, 180Gsm Bio wash Cloths Tee , Delivery in 4 Days. Buy Now .